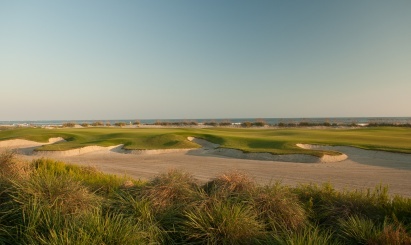 A unique ticket sales strategy was developed for the 2012 PGA Championship tournament that will be played at the Ocean Course at Kiawah Island Resort. A unique ticket sales strategy was developed for the 2012 PGA Championship tournament that will be played at the Ocean Course at Kiawah Island Resort. AOL Rawle Murdy helped devise and execute this campaign to raise awareness and sell tickets two years in advance. Preregistration was required on PGA2012.com to purchase tickets. Registrants were grouped and could only buy tickets within prescribed windows of time. Any remaining tickets wouldn't be available until summer 2011. Messaging focused on limited access, limited purchasing timeframe, and high demand. Events, e-mail communication with registrants, and social media outreach also drove messaging. The ticketing process was announced at an August 3 press conference. To jumpstart buzz, messaging was projected simultaneously on four buildings in North Carolina and South Carolina the night before. Sterba and another PGA executive conducted a media tour several weeks prior to the press conference to get ahead of local college and NFL football coverage. A “PGA Experience” event was hosted November 10 -12 for the general public in downtown Charleston, SC. It included live entertainment, golf lessons, and access to the Wanamaker trophy. Bleachers, boxes, and concession stands were also set up. “We built everything as they would see to give them the PGA experience as much as we could,” says Sterba. Facebook was also used to communicate updates and tournament information. Ninety-four percent of ticket inventory was sold in six weeks. Smith reports more than 250 print media mentions in August through December (audience reach exceeding 10 million). In addition to local media, the story was covered by AP, USA Today, Golf Digest, and the Boston Herald. PGA2012.com got approximately 172,000 page views (August to December). The team will work together through the tournament. Current focus is on promoting private entertainment packages to businesses.